“Rabbis for Human Rights is calling for people to go to Susiya. Since we cannot jump up and go, let our actions of support fill the West Bank with the spirit of indignation, solidarity and hope for justice…. A new Post “Join the protest Vigil: No to the Demolition of Susya” was written on the June 17, 2012 at 3:25 pm on “Rabbis for Human Rights”. Israeli army forces threaten to demolish the entire Palestinian village of Susya. This week, demolition orders for approximately fifty dwelling structures were handed out, which add to numerous additional orders issued recently. In addition, the Civil Administration has announced the residents of Susya that it intends to implement six demolition orders issued in the 1990s and 2001. From past experience, such notices are only given when there is genuine intention to go through with demolitions. **The demolition orders cover the most of Palestinian Susya. Not only dwelling structures but also animal pens, water cisterns, the solar-powered electricity system – everything. Another Ecumenical Accompanier friend wrote this about Susiya, not so long ago. 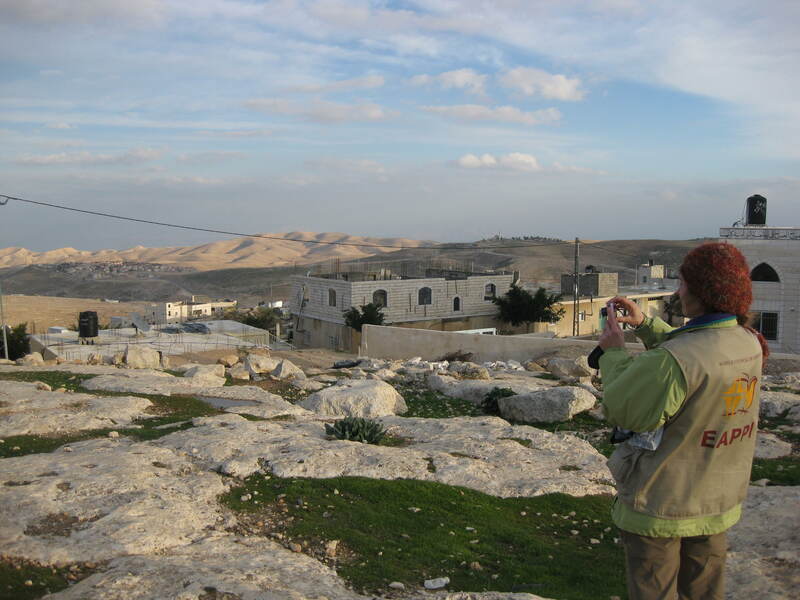 I shared news about this part of the occupied West Bank on this blog on 13 Jan. 2011 and 23 Dec. 2011. Read more here. What do we do? Learn more and take a stand. The Working Group on Israel/Palestine Policy in the United Church of Canada has been doing just that. I met with them in East Jerusalem in Winter 2011. They have produced a report, offered You Tube commentary, and continue to comment. See this ‘question and answer’ document.